Rudranath Temple is one of the most prominent Panch Kedar Pilgrimages and is situated at Gaurikund. It is also the tough to approach of the Panch Kedars. The Rudranath temple is sets up at an altitude of 2,286 meters above the sea level and is in centre of Suryakund, Tarakund and Chandrakund. This place is frequently visited by domestic as well as foreign travelers and pilgrims throughout the year. The temple is dedicated to Lord Shiva. It is a lovely rock temple. Here inside this temple one can see an embedded dark rock presenting the swayambhu shivaling of the face of the Lord Shiva. Mostly Hindu followers worship Lord Shiva as Neelkanth in the Rudranath temple. 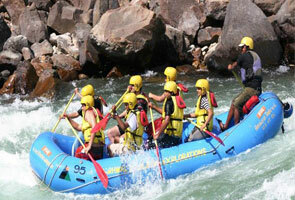 Rudranath is always remains the major attractions for the people who are seeking for trekking. 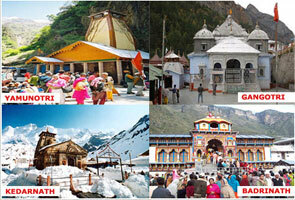 The trekking path to this temple gives splendid views of varied beauty of nature. The trekking way exceeds through deep lush green forest enriched with diversified flora and fauna, dark gorges and alpine meadows. Besides, travelers can also visit Panar Bugiyal, Nandikund, and Pitradhar situated in the proximity of the Rudranath temple. Also, you can view the shining water stream called as Vaitarini. The temple opens in the month of mid April to May and remains closed from third week of November- April every year. Rudranath is well connected with motorable roads. Taxis and buses are accessible from Gopeshwar to Sagar village from which is the starting point of the trek towards Rurdanath. The Sagar village is located at the distance of 5 kms from Gopeshwar. As the route is steep the trek is considered as quite tough and also there is no village en route. The trekking way is sheer up to Panar Bugyal tracked by up and downs to Rudranath. As this place is frequent visited destination by tourists and pilgrimages so here you can find an excellent accommodation facility. Various private hotels and lodges are available at Lyuti Bugyal, Urgam, Sagar Village and Panar. 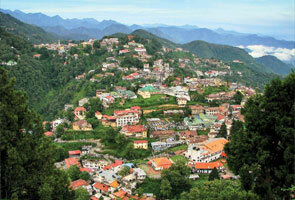 One can also stay at temple Dharamshala loxcated nearby Rudranath temple. 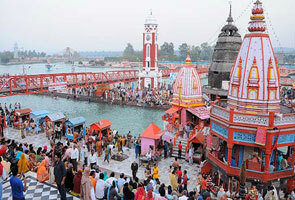 In case you’re planning a visit to Rudranath then you can also see several holy and adventure places beside the temple. During your visit to Rudranath must go to the local temples at Sagar village. During trekking, must explore the area of the scenic Panar Bugyal and Lyuti Bugyal. The Rudranath temple is carved by numerous small pools called as Chandra Kund, Surya Kund, Manas Kund, and Tara Kund.